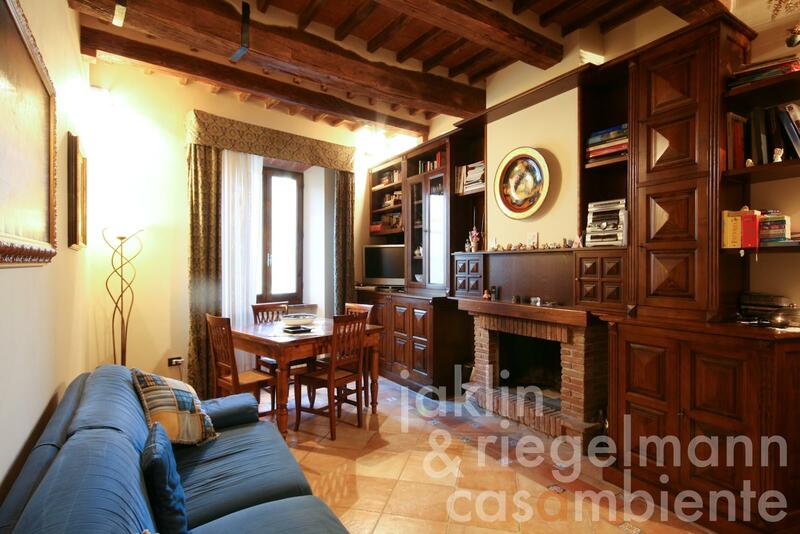 High-quality restored three-room apartment for sale in the centre of a pretty town in the Crete Senesi region in Tuscany, about 25 km from Siena. The apartment is located on the first floor of a typical building in the historic town centre without car traffic. All local shops, cafés and restaurants are in the immediate vicinity. A well-kept staircase, which is shared with a neighbour, leads to the entrance area of the apartment. 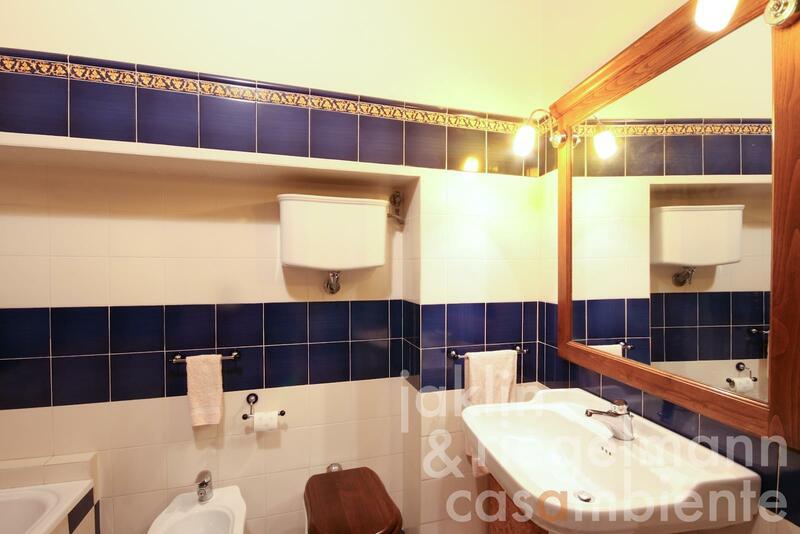 The apartment is well designed and partitioned, with a living- and dining room and separate kitchen on the right hand side, and a sleeping area with two bedrooms, two bathrooms and a storage room on the left hand side. The apartment for sale offers about 90 m² and was restored with typical and high grade Tuscan materials. 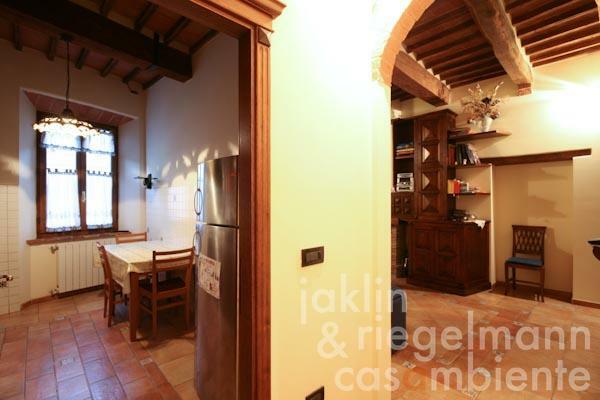 The floors are held in terracotta throughout, the ceilings are made with chestnut beams and “mezzane” in terracotta. 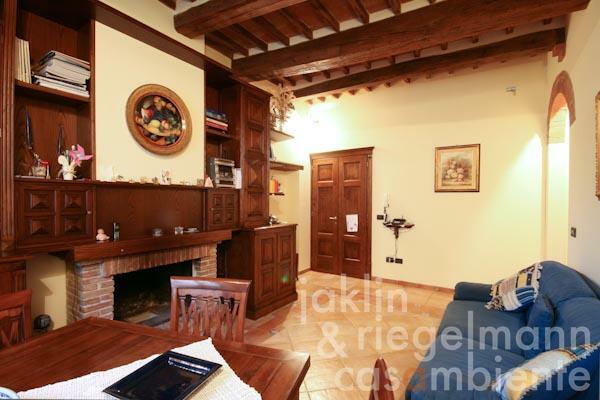 The living room (21.6 m²) features a masoned fireplace and furniture in solid wood. The built-in kitchen (11.6 m²) is also equipped with fixtures in solid wood. The entire ambience reflects the care and taste dedicated to every detail during the restoration process. 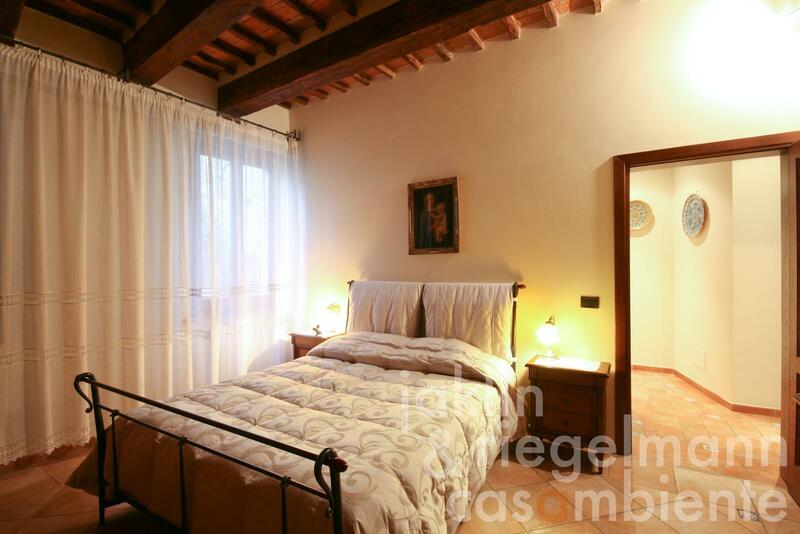 Both bedrooms are similar in size (16.3 and 14.5 m²). 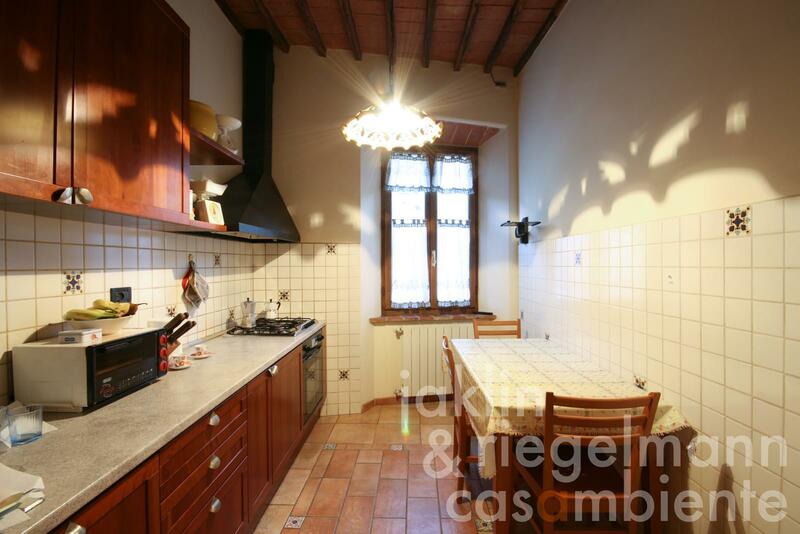 The apartment is in a very good condition and combines the amenities of a historic Tuscan town with the autonomy of a convenient pied-à-terre. 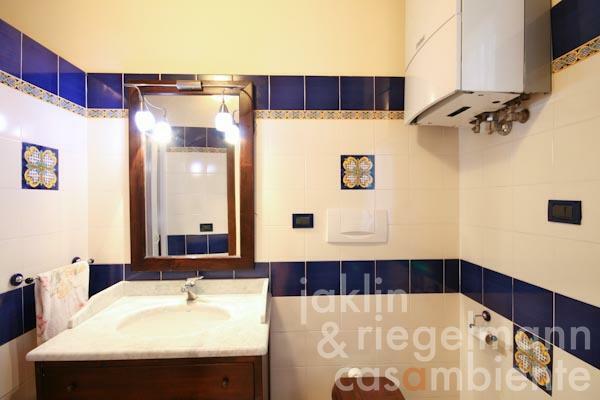 A cellar of 18 m² and ¼ of an additional storage room of 20 m² also belong to this property for sale. Electricity, mains water, central heating, fireplace, gas connection, telephone, broadband internet access, satellite-TV.